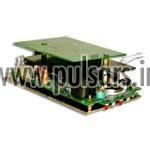 We are one of the leading service providers of embedded systems. We have been offering end to end Embedded Control Design & Embedded Software Development services. 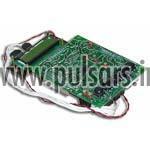 A sound infrastructural base and an experienced team are the mainstays of the organization that aid us in offering ultimate solutions of embedded system. We specialize in Designing to suit a BOM cost Budget. We have significant experience in designing battery operated controllers as well as mains operated systems. So our experience in handling power budget constraints of a battery operated equipment and the Noise level considerations of a mains operated system come in handy. Development of BLDC controller and Touch screen based user interface for the X-Y Vending Machine project from Tata Technologies, USA. Development of 100 W low cost solar inverter for the "Green House Project" as per specifications of TEDA.